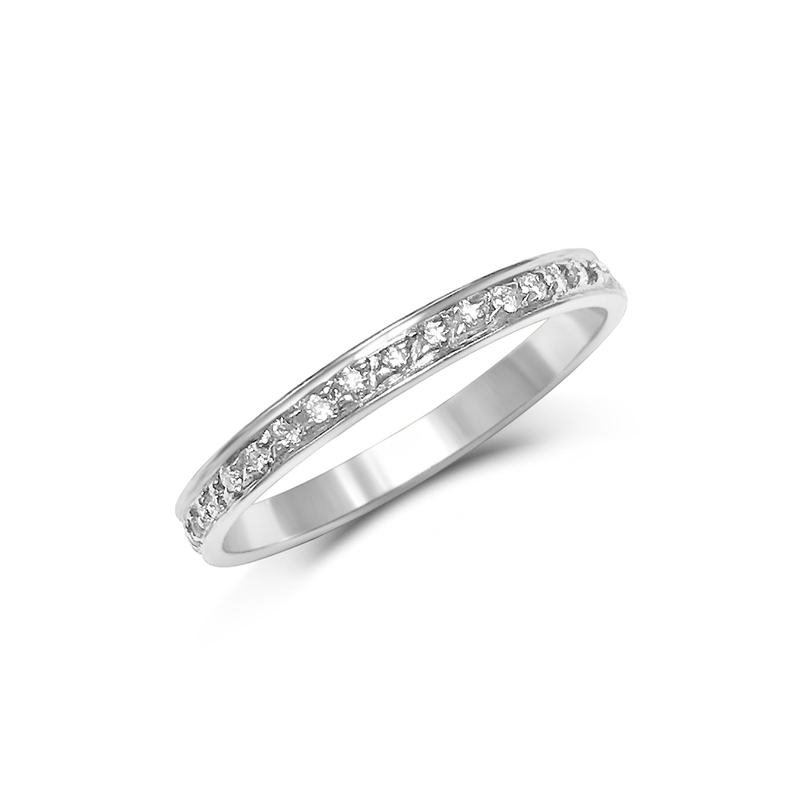 White Gold Diamond Eternity Ring from the Monochrome collection by Bear Brooksbank. Made in London. 2mm diamond thread and grain-set wedding banD, made in 18ct white gold.